In 2008, our client, a labor foreman, was working on a construction site, in charge of setting loads onto the cranes for lifts. One late afternoon, the crane operator decided to lower (or dog) the crane down for the night. The crane was equipped with a 150 foot main boom and 180 luffing boom, the crane operator had to follow a certain procedure in order to properly and safely lower the crane: First the operator must lower the luffing boom and make sure it is not extended before lowering the main boom. That day however, instead of lowering the luffing boom first, the operator lowered the main boom while the luffing boom was still extended way too high. Several workers at the site noticed that the crane operator was improperly lowering the main boom with the luffing boom still sticking up. Some yelled and tried to wave off the operator from lowering the crane in this manner. It was too late. A split second later, the crane began to tip forward. 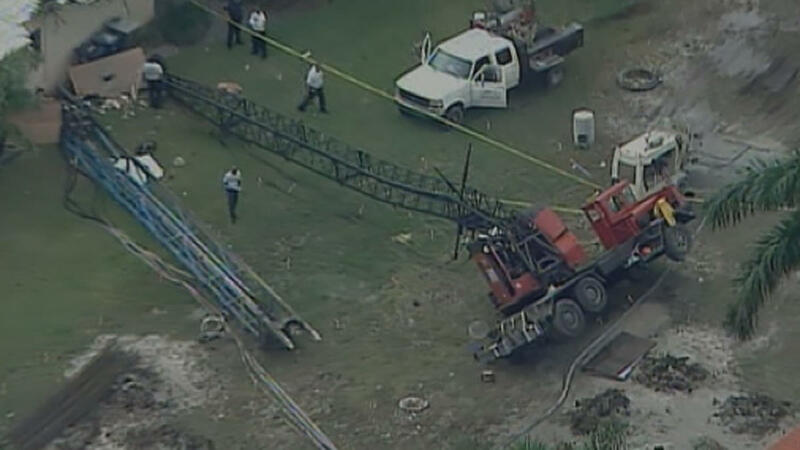 Our client, who was setting another load on the crane, was in the direct path of the collapsing crane. Alerted by others’ screaming warnings, our client began to run for his life. But while running away, the crane boom struck our client on his hard hat knocking him to the ground. The boom then bounced off the end of a beam, ricocheted to the ground demolishing and crushing our client’s right leg. Thomas Scolaro and Ira Leesfield filed a lawsuit in this case and were successful in reaching a settlement with all parties despite the tough worker’s compensation laws in Florida. 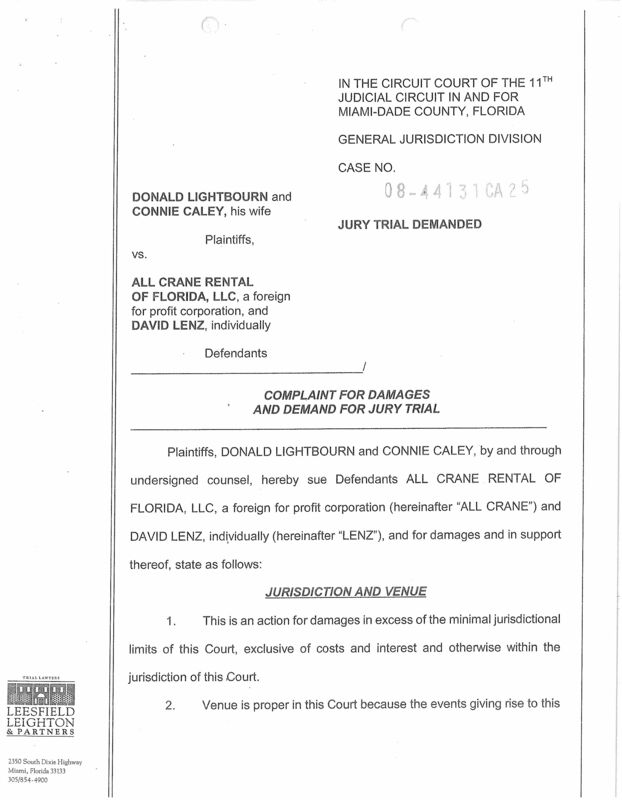 A copy of the lawsuit can be obtained by contacting Leesfield Scolaro.